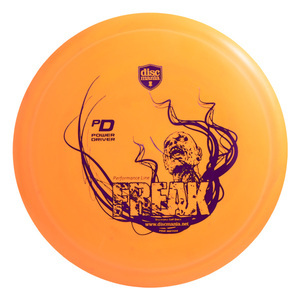 The PD Freak is a fast and stable Power Driver driver which is very resistant to the wind. The PD has good glide and is useful for sidearms, stable power shots, and long flex shots for experienced players. This disc offers longer and straighter shots with a reliable low speed fade. If you’re hesitant to try the Power Driver, ask anyone who’s tried it - this disc is a true crowd favorite.